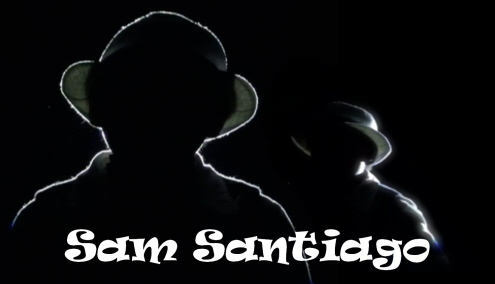 Sam Santiago Wow’s West Michigan! 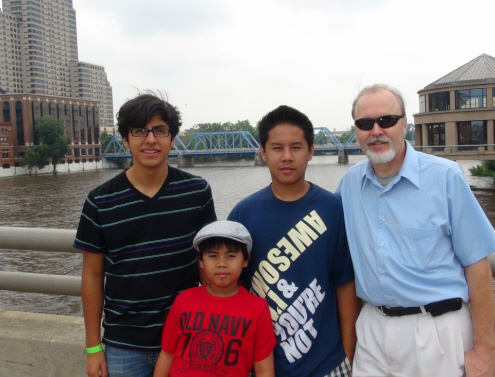 This past August Sam Santiago and his family from Irvine, California spent a week of their vacation to visit my home city of Grand Rapids, Michigan. It was a wonderful time getting to know Sam better, and being able to spend quality time with his family and Sebastian, a good friend of Sam’s older brother Penuel! Staying only a few minutes from my home, it made it easy to travel back and forth from the Hotel to the house to meet every day for some special time together. We spent the entire week traveling around the city, seeing the sights, visiting parks, and of course doing lots of singing both in the car and at special engagements. Sam is such an energetic fellow and is full of life and fun. 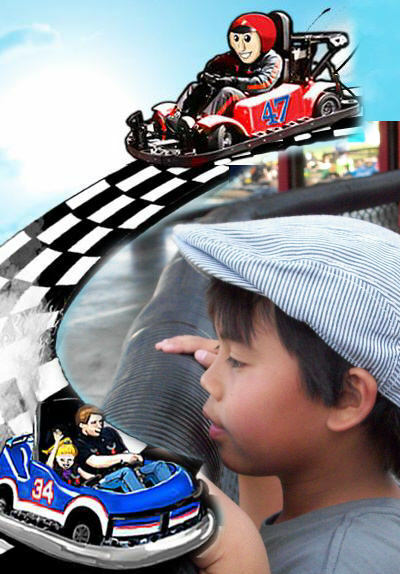 Not unlike any other Nine year old, Sam loves to play video games and especially enjoyed our time at the Go Cart -Video Arcade called Craig’s Cruisers . The boys and I played laser tag, rode go carts, and enjoyed a game of mini golf before the day was over. His family also enjoyed visiting a small nearby tourist town on the bay featuring very unusual art and specialty items sold in small shops and stores. 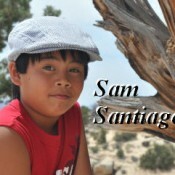 Sam picked up a new hat at one of the shops which came in handy a little later that week for one of his performances. Sam is always practicing his vocal skills. Even when he is just traveling in the car Sam is continually singing. There is no doubt that this boy loves to sing. On one occasion while traveling to one of the sightseeing points, Sam and I broke into our own cover of Justin Bieber’s “Baby” with Sam leading the way and me following with the harmony while trying to remember the words. Lol 🙂 What fun that was! Sam did three performances while he was visiting. His first performance was for my local church assembly where he sang his medley of “As the Deer & I love you Lord”. He brought many to tears with his rendition of this song then raised the roof singing “How Great Is Our God” by Chris Tomlin. Everyone was standing on their feet as Sam was leading the entire congregation in this second worship song! What the congregation did not know is that Sam had only learned this song the day before! He not only hit every note but remembered every word perfectly. 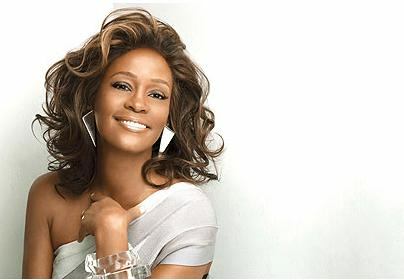 Amazing Sam! Author RivenmasterPosted on September 24, 2011 April 14, 2012 Categories Featured, Sam Santiago, Young Male Artists M-ZTags boy, California, Cody Simpson, Grand Rapids, Greyson Chance, Justin Bieber, Michael Jackson, Nine Year Old, Pop, Sam Santiago, singer, Talent, Television, treble, West Michigan, WZZM TV 13, Young boy59 Comments on Sam Santiago Wow’s West Michigan!